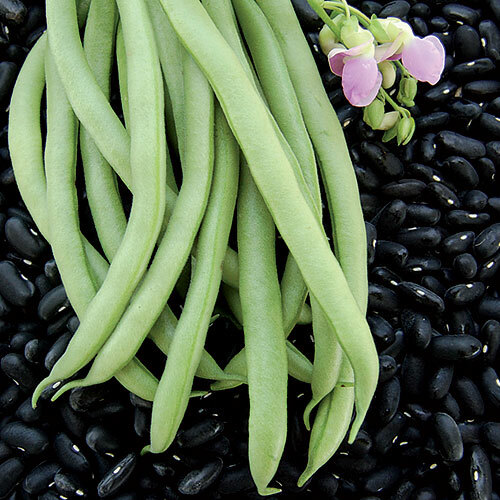 Dependable and easy to grow, beans produce rewarding crops in gardens across the country. Beans grow best in full sun, planted in well-drained and warm soil. While pole beans require trellising, bush beans can grow unsupported. These growing instructions are for common beans (Phaseolus vulgaris). 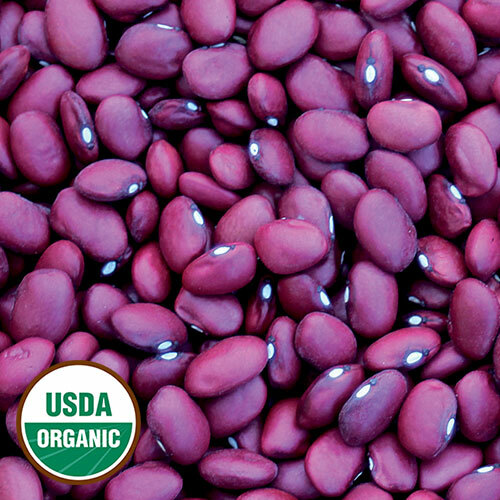 There are several other species of beans, including runner beans, lima beans, cowpeas, and soybeans. Direct sow after the soil has reached at least 50 degrees F, but preferably when the soil is 60-80 degrees F.
You can build bamboo trellises for pole beans before planting the seeds. 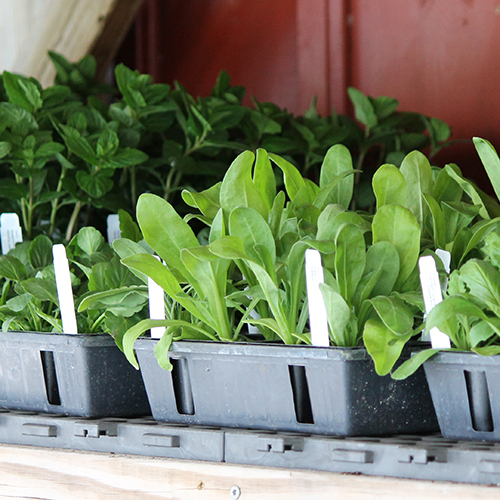 Garden spacing is the same whether growing for seed or to eat. Common beans can be affected by a number of diseases. Some of these diseases can remain in the soil for several years, so grow your beans in different areas of the garden each year. To prevent the spread of fungal and bacterial diseases among plants, avoid working in your bean patch when the foliage is wet. The best way to get rid of beetles and bugs that might eat the leaves of your plants is to pick them off and toss them into a jar of soapy water. 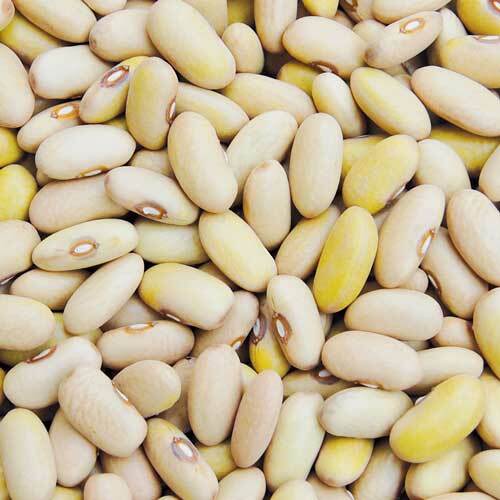 Beans can be harvested in the snap/green stage, the shelling stage, or the dry stage. Try to harvest beans before the first frost. Some gardeners extend their season by covering their plants with sheets, blankets, or row cover ahead of cold weather. Snap or green beans are ready for harvest when the pods are still tender, before the seeds start to swell. 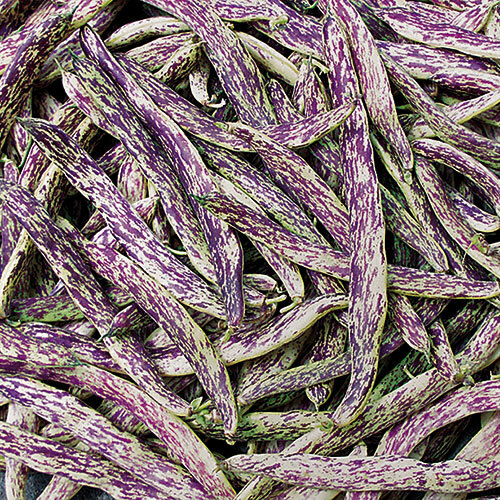 Shelling beans are ready for harvest after the pod has changed color and the beans have plumped, but before the pods and seeds have dried. Dry beans are ready for harvest when the pods are dry and brittle and the seeds inside are hard. Green (snap) beans are best eaten fresh, canned, or frozen. Shelling beans are best eaten fresh and must be removed from their shells before being eaten. Dry beans must be soaked and boiled before eating. Beans can be stored dry for months or years. They last in the refrigerator for about a week. Separate varieties by 10-20 feet. 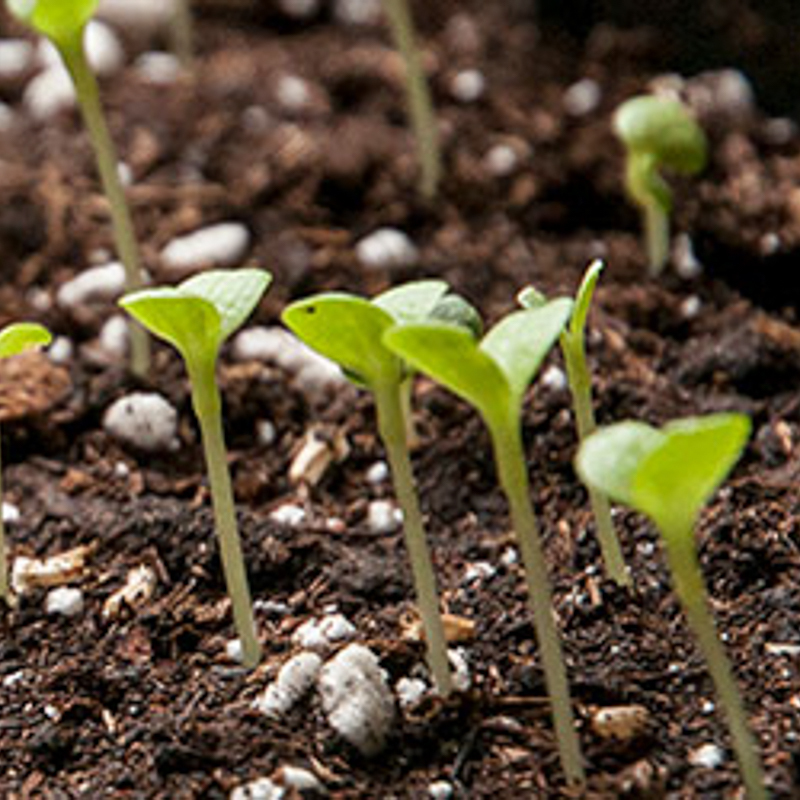 To ensure viable seeds, save seeds from at least 1 plant. 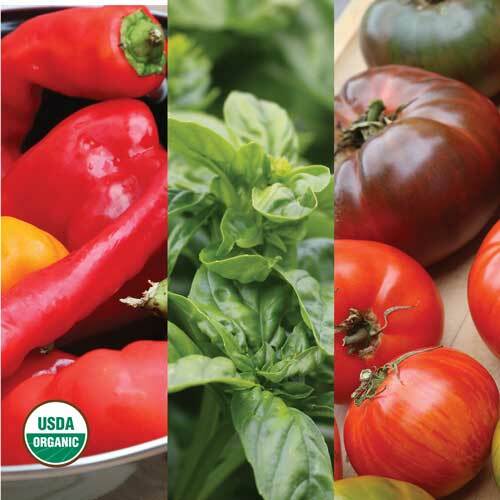 When maintaining a variety over many generations, save seeds from 5-10 plants. 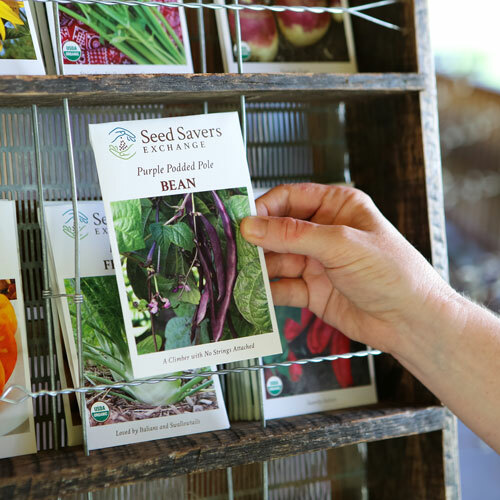 If you’re saving seeds for genetic preservation of a rare variety, save seeds from 20 plants. Only save seeds from healthy plants. Harvest the bean seeds when they are very hard and their pods are dry and brittle. Mature seed pods will have begun to fade in color. The fruits of bean plants split open at maturity, but the pods of most varieties of common beans can be left on the plant to dry fully without fear of losing seeds to shattering. Bean pods can be handpicked, or whole plants can be cut at the base. 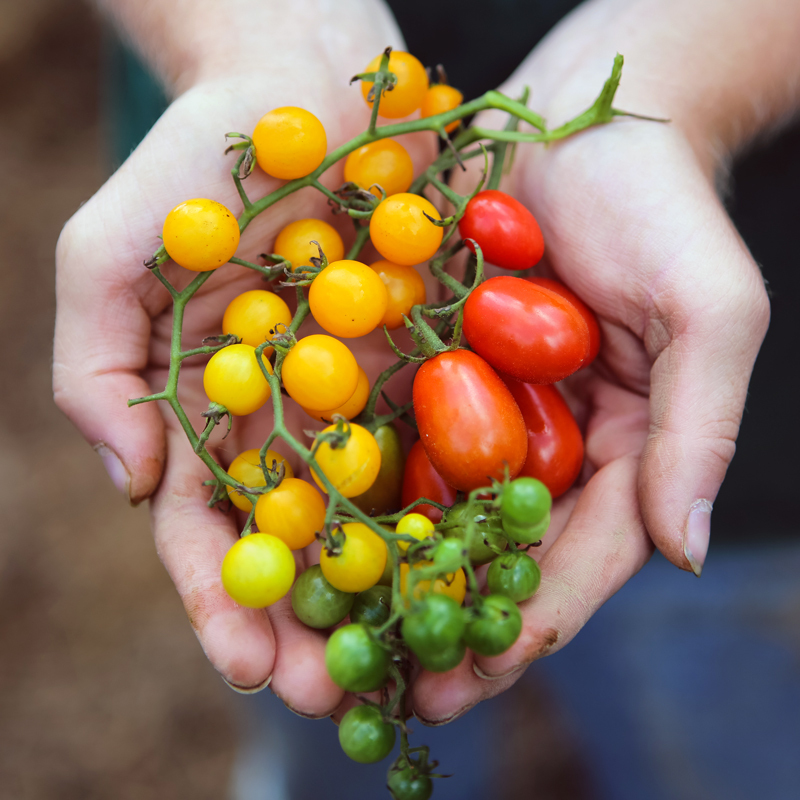 Most gardeners collect fruits from pole beans by hand as they mature, and even if entire bush bean plants are to be harvested only for seeds, handpicking pods is common on the home garden scale. If harvested prior to the pods turning tan and papery, the pods should be allowed to dry on screens or landscape fabric in a protected place until the seeds become too hard to dent with a fingernail. If bean pods are not completely dry before the first frost, pull the plants up and dry them further indoors. When the bean pods are completely dry, break them open to release the seeds. Separate the seeds from the chaff. Store beans in cool, dark, and dry places and always keep them in an airtight container to keep out moisture and humidity. Under these conditions, you can expect your bean seeds to live 3-4 years.